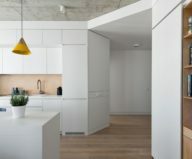 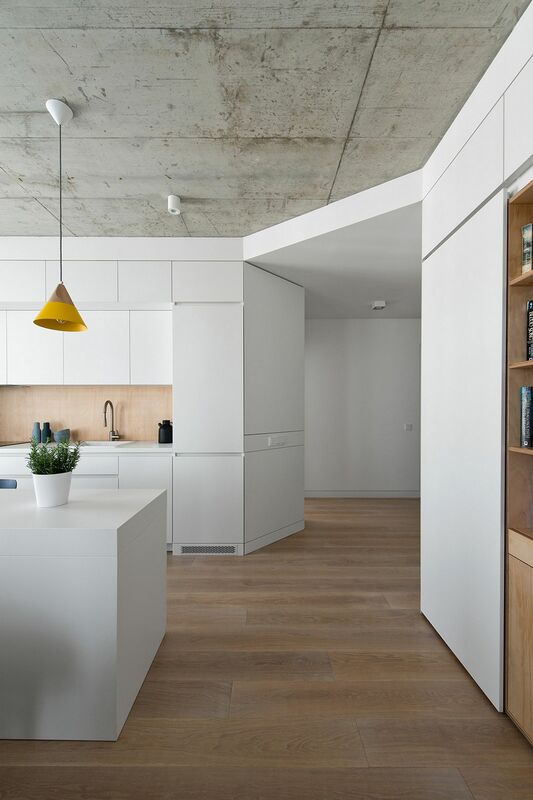 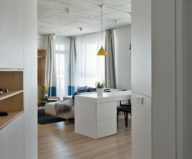 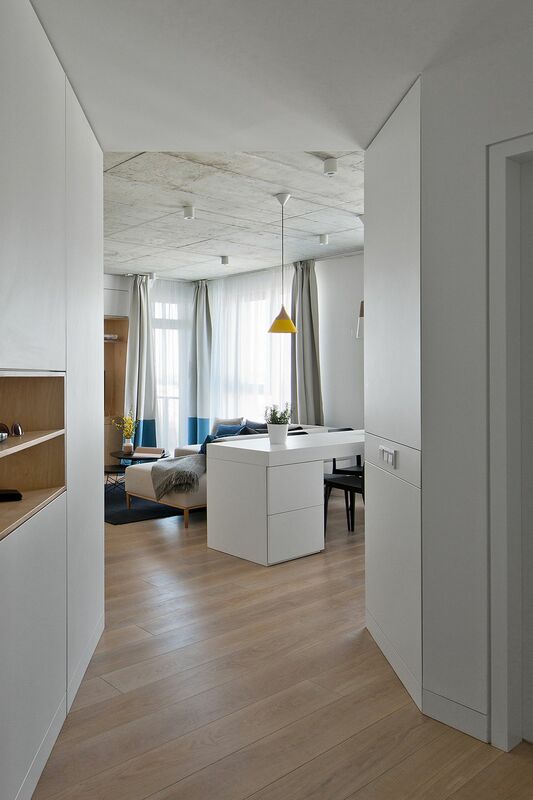 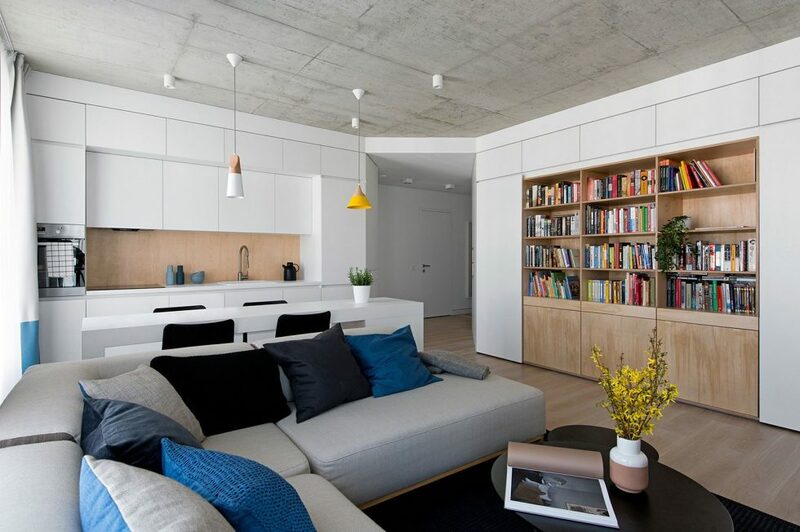 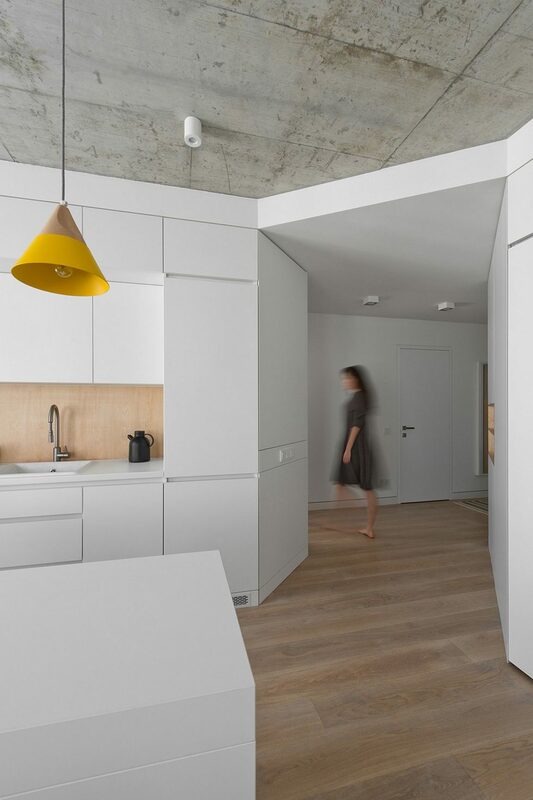 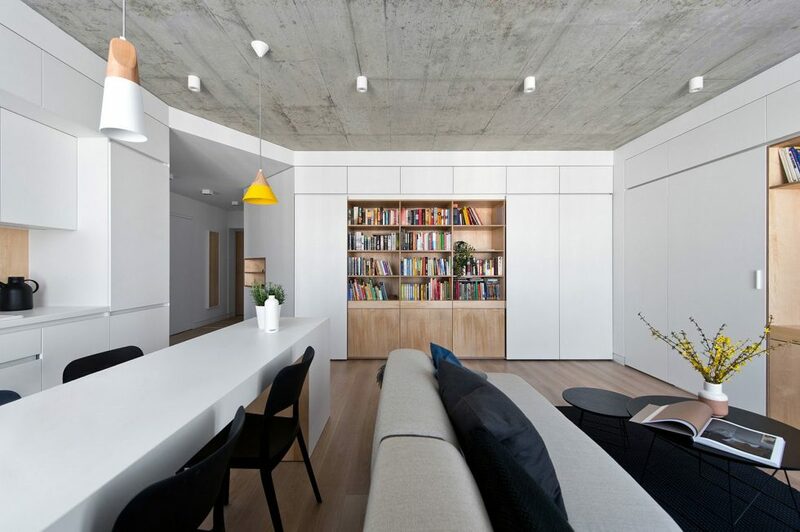 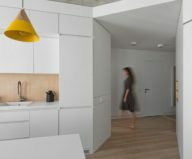 This modern and elegant apartment in Vilnius (Lithuania) is created by Normundas Vilkas design studio. 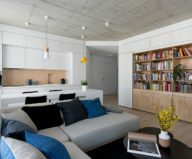 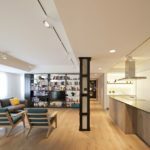 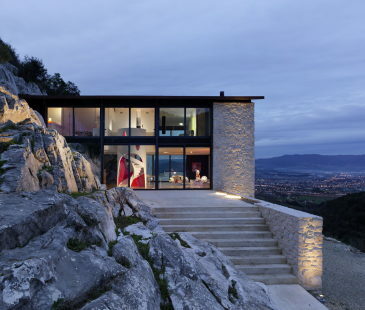 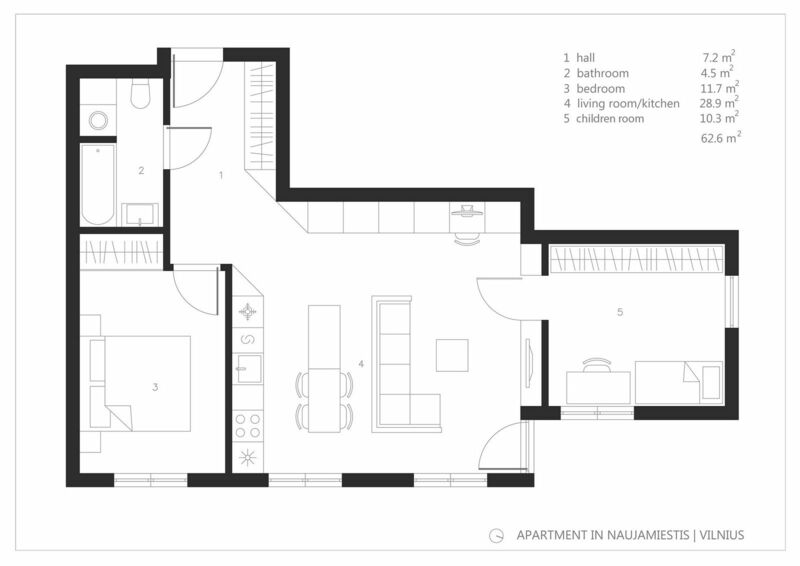 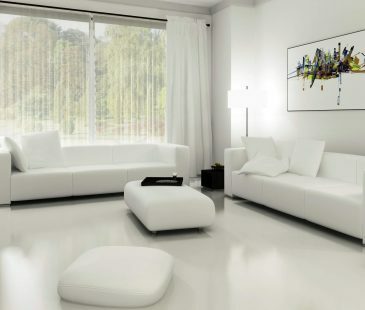 The designers have to replan an ordinary three-rooms apartment in order to create stylish and comfortable interior. 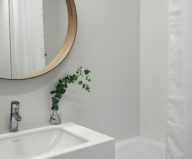 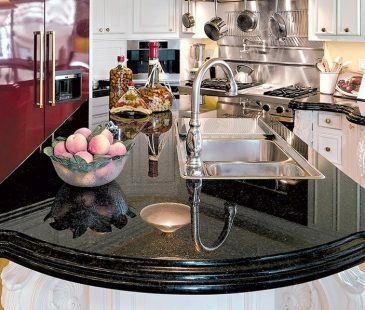 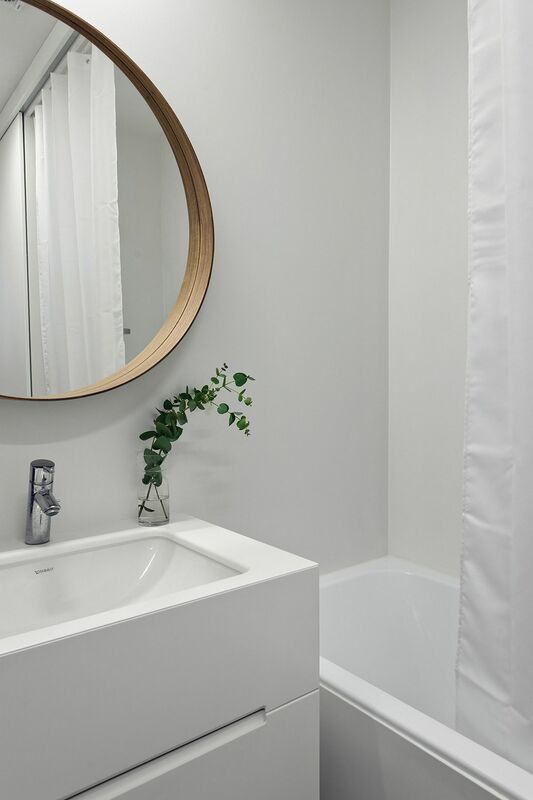 The bathroom was placed into the former service room and its place was delegated to kitchen, which in turn provided an empty space for a cozy dining room. 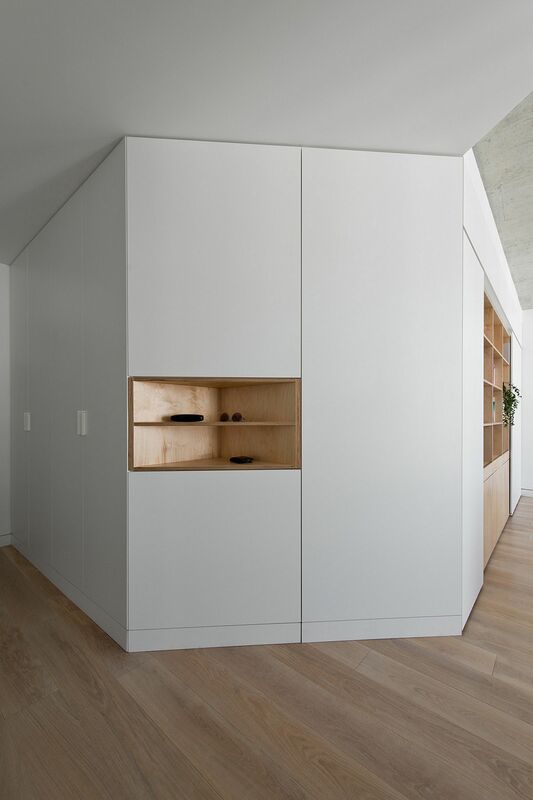 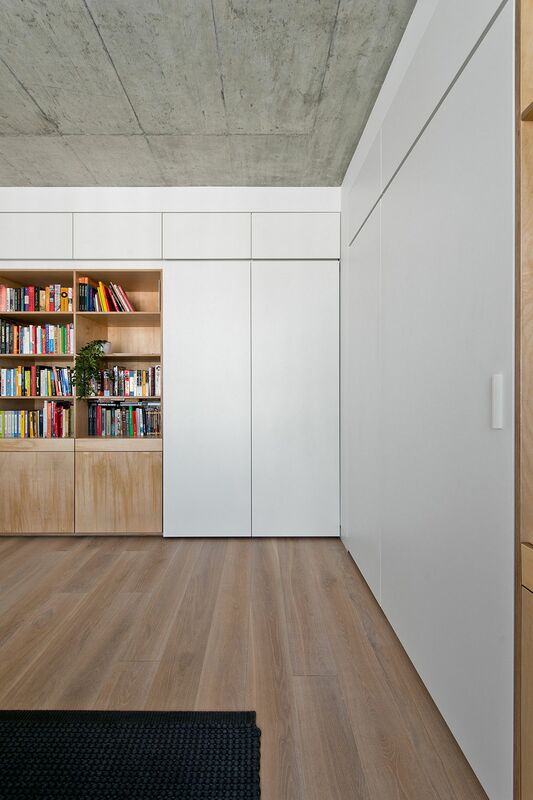 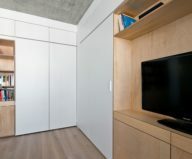 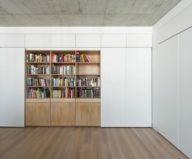 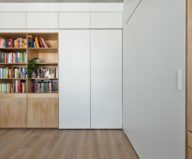 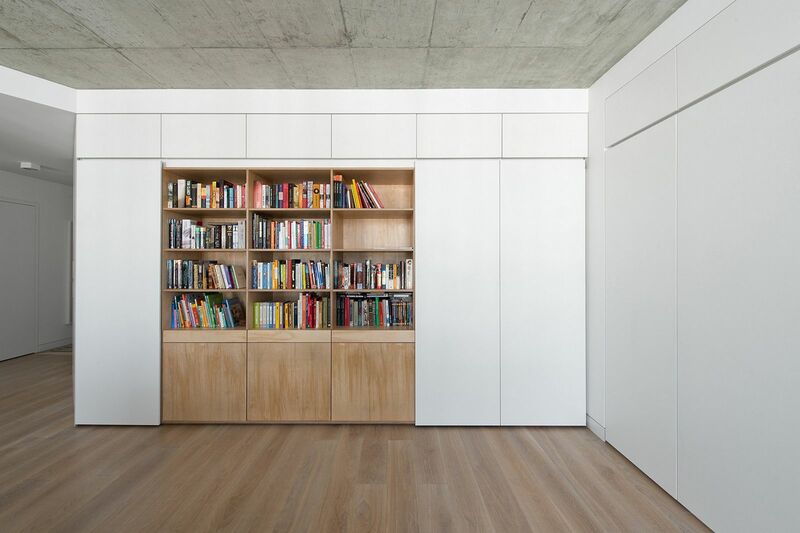 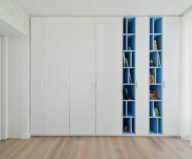 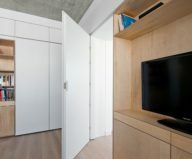 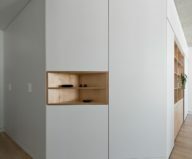 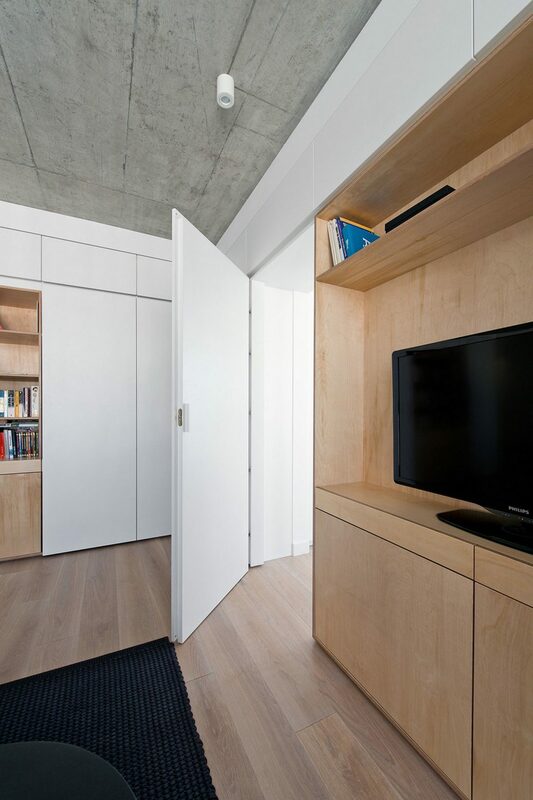 Various inbuilt wardrobes have divided functional zones and provided perfect conditions for home items storage. 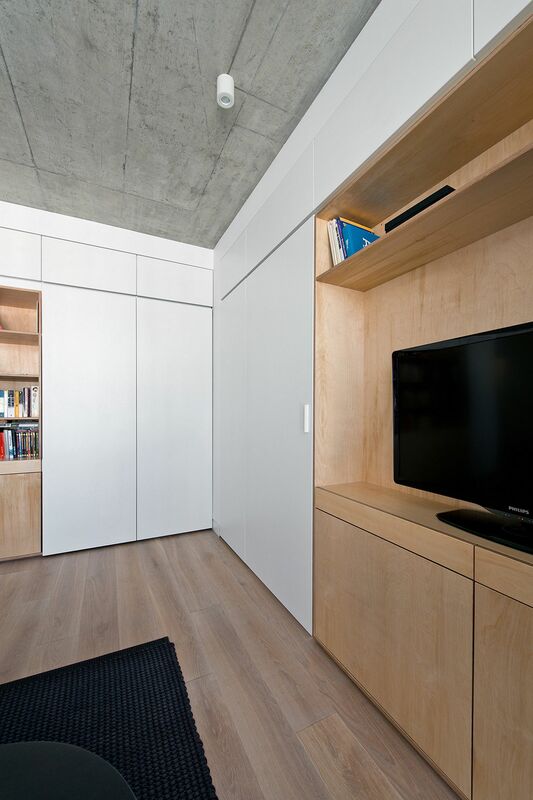 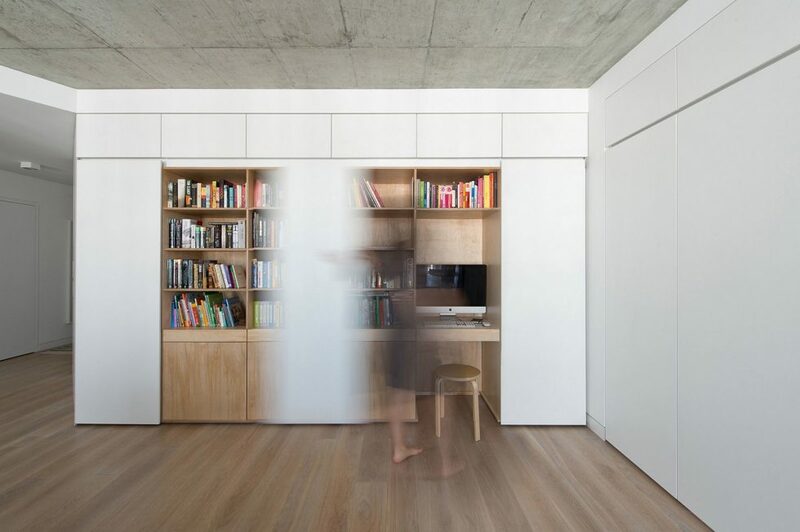 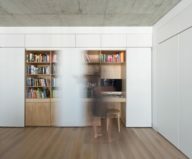 Part of the living room`s space is divided by such a drawer from parent`s bedroom. 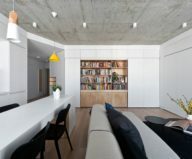 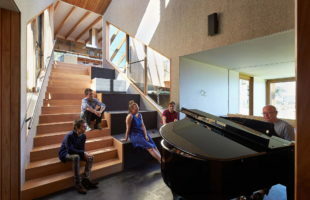 The interior in living room is performed in light calm tones with predominance of bleached oak colour, diluted with blotches of violet and grey. 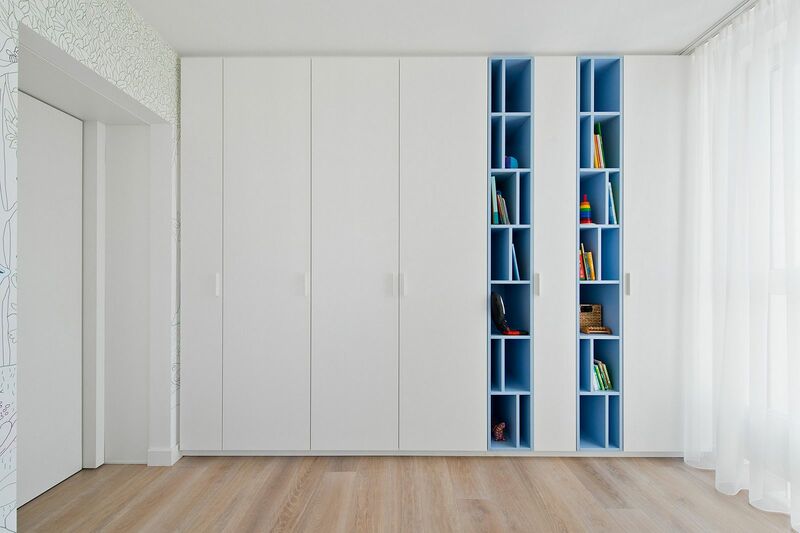 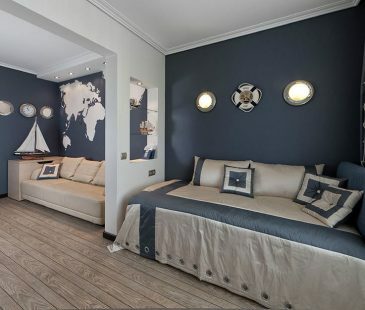 Children room and bedroom are coloured in tinctures of light-blue and light-mustard, which fill the space with freshness and optimism. 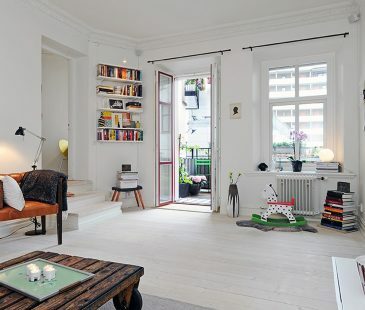 Comfortable and functional furniture, warm textile colours and variety of home plants create the atmosphere of home coziness and harmony.